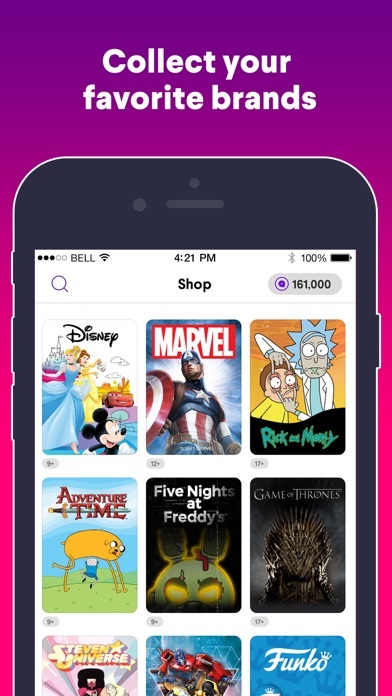 Quidd is your app for collecting exclusive and hard-to-get stickers, GIFs, and 3D content from your favorite shows, anime, movies, comic books, and YouTubers. Get your hands on one-of-a-kind collaborations with Disney®, Rick & Morty™, Game of Thrones®, MARVEL®, Transformers™, My Little Pony™, Naruto: Shippuden, Bob's Burgers™, and more. 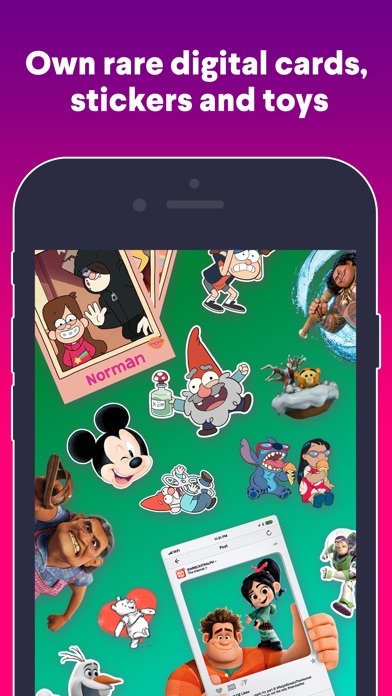 Here’s how it works: Quidd drops new sticker, GIF, and 3D content everyday, you collect your favorites and build a valuable collection! There. Is. More. Every sticker and GIF you collect can be used to annoy your friends in iMessage. And everyday new mystery boxes drop. Did you miss the drop? Don’t worry. 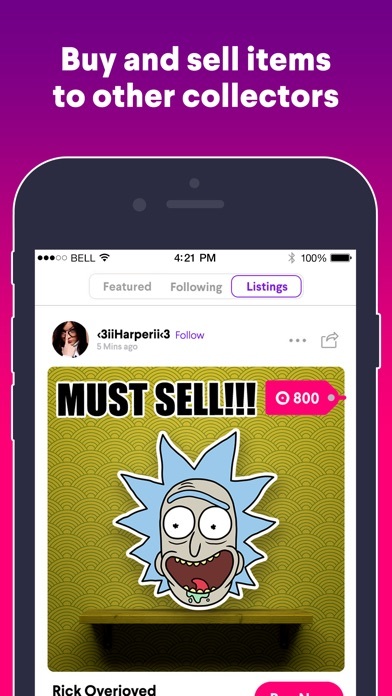 Our amazing community is here to help you find a copy and buy and sell items with you. Over 2 BILLION limited-edition items have been sold to-date. Get in line. The next drop could happen at any minute. PS: the Quidd Keyboard will never track your keystrokes. 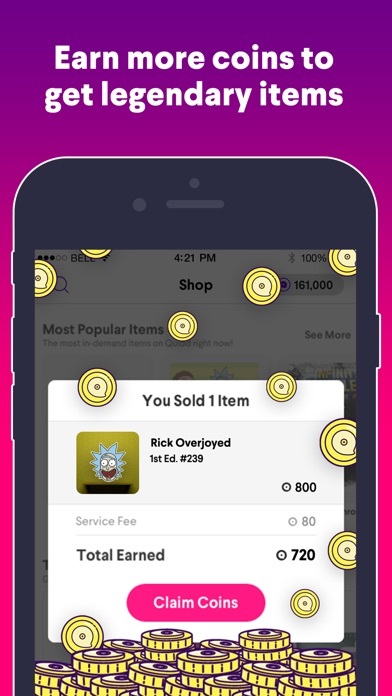 ;) ********** There are over 100 collections on Quidd, including: Disney MARVEL Steven Universe Rick & Morty Adventure Time Game of Thrones Naruto: Shippuden Archer Arrested Development Attack on Titan Bleach Bob’s Burgers Bravest Warriors Buffy the Vampire Slayer Capcom Care Bears Clarence Coraline Courage the Cowardly Dog Cow and Chicken Cuphead DC Comics Dexter’s Laboratory Dishonored 2 DOOM Dr. Seuss Dungeon's & Dragons Ed, Edd, N’ Eddy The Elder Scrolls Fallout 4 Family Guy Firefly Five Nights at Freddy’s Fraggle Rock Funko Garfield Ghostbusters GI Joe God of War Golden Girls Halo Hellboy Hello Kitty Hello Neighbor Jim Henson Johnny Bravo Laika Lost Kitties Magic: The Gathering Major League Baseball Michael Jackson Monopoly Muhammad Ali My Hero Academia My Little Pony Ni No Kuni II Ouran High School Host Club Outlander Powerpuff Girls Power Rangers Princess Bride Quake Regular Show Rick and Morty Sanrio Scream Queens Sonic The Hedgehog Star Trek Teenage Mutant Ninja Turtles The Amazing World of Gumball Skyrim The Grim Adventures of Billy and Mandy The Princess Bride The Tick The X-Files Tokyo Ghoul Transformers Trolls Twin Peaks Uncle Grandpa Valiant Comics We Bare Bears Winnie The Pooh ********** OFFICIAL HBO LICENSED PRODUCT © 2018 HOME BOX OFFICE, INC. ALL RIGHTS RESERVED. HBO AND RELATED TRADEMARKS ARE THE PROPERTY OF HOME BOX OFFICE, INC. ADULT SWIM, the logo, RICK AND MORTY, and all related characters and elements are trademarks of and © 2018 Cartoon Network. A Time Warner Company. All rights reserved. ©2018 Cryptozoic Entertainment. 25351 Commercentre Dr. Suite 250, Lake Forest, CA 92630. All rights reserved. TM & © 2018 CBS Studios Inc. STAR TREK marks and logos are trademarks of CBS Studios Inc. All Rights Reserved. Bob’s Burgers™ & © 2018 Twentieth Century Fox Film Corporation. All Rights Reserved. © 2018 MARVEL, Inc. © 2018 Hasbro, Inc. © 2018 Sanrio, Inc. © 2018 The Walt Disney Company, Inc. © 2018 VIZ MEDIA, Inc. I love this app but it would be AMAZING if you added Harry Potter. Like if you don’t then the is something Siriusly Ron with you! Quidd was a fun app in the beginning. 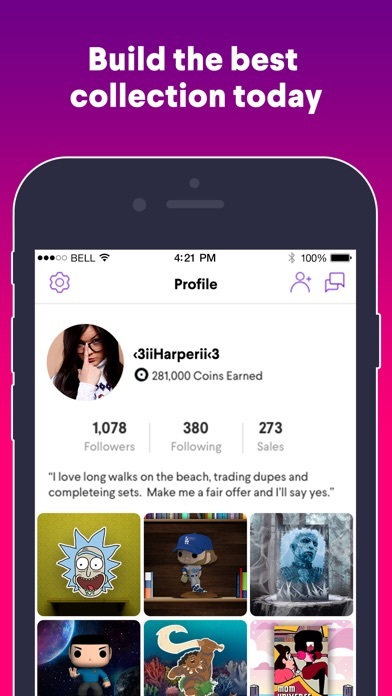 Now the app is set up to be a cash grab. Many collectibles cost more than they would IRL. Don’t give companies like this any money. Quidd is great, it’s just I run out of coins very easily and unless you’re an adult it’s hard to get them because you have to pay to get large amounts. I’m not saying that it’s too expensive or it’s not worth what it is worth, I’m just saying maybe make an easier way for kids like me to get coins. I love the game and it’s purpose I send stickers to my friends all the time and it’s really fun to collect them I just really like a easier way to get them. You should really get the game it’s very addicting and I always play it but spend your coins wisely because you don’t have unlimited amounts. (also my username is ImAnEpicGamer if you want to follow me 😂. Hey my name is Isaac and I love this app so much.. I have one suggestion.. I think it would be cool if we could have like a section devoted to all the reward cards We’ve received. Thanks! This is amazing for the hoarder inside all of us, I only have a few nitpicking things that bother me like nothing from roosterteeth (that’s just something I really want.) , the sell prices and selling options to filter sometimes just don’t load, that just might be my phone actually... nonetheless it’s a great little platform! A formerly enjoyable way to collect virtual cards, stickers and figures has succumbed to the lure of excessive in-app purchasing. You used to be able to buy and trade and could amass a decent collection without investing a lot of actual cash. Not so any more. Trading is replaced in favor of selling your dupes and most sets are overpriced and difficult to complete.